LH520 runs state of the art E7520 chipsets that provide seamless integration with Intel® Xeon processors running at 800MHz and enhanced memory bus that outputs at faster rate than ever before. 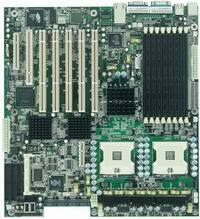 LH520 supports up to 16 GB DDR2-400 registered memory using dual channel memory bus in the space of 8 240-pin DIMM slots that achieves a fine balance of spacing saving and memory power. LH520 is designed with a far outlook that anticipates the growing use of Serial ATA 2 drives. It uses an innovative design to support up to 8 SATA-2 ports, a feature not found in any other motherboards, providing the coveted hot plug feature and yet stays backward compatible with SATA-1. LH520 supports 2 Gigabit Ethernet ports to provide for teaming with load balancing and fail over, making it the ideal motherboard for a firewall system or any system that operates in a highly dynamic and highly available computing environment. LH520 comes with various combinations of manufacturing options that allow it to fit 1U, 2U and Pedestal. This flexibility also eliminates the hassles of testing a number of boards for qualification. All these benefits come at only a tiny to zero cost to the customer. 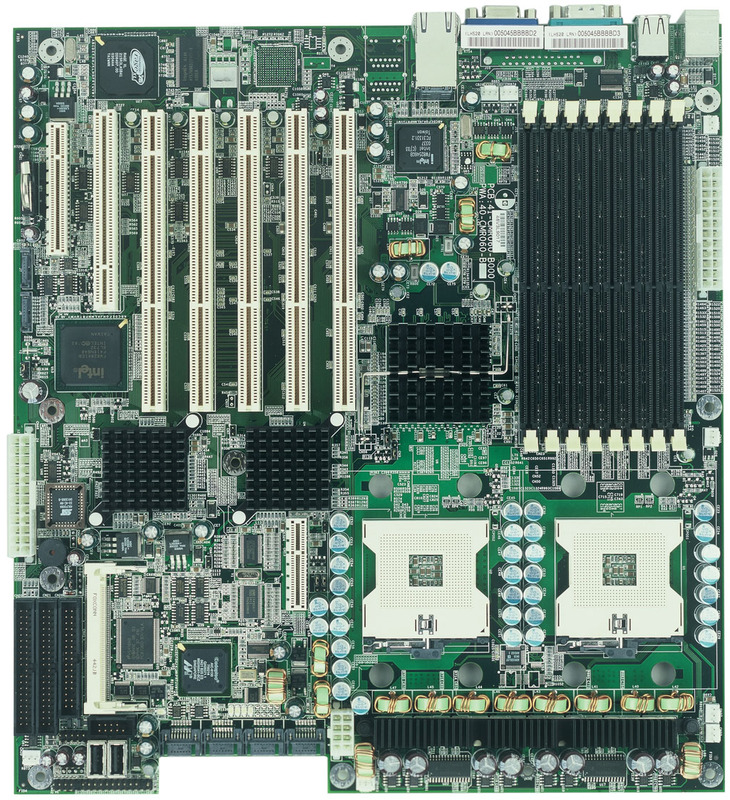 Other features that make LH520 a most effective choice included : 5 independent PCI-X/PCI buses, Five 64-bit 133/100/66MHz (3.3V) PCI-X slots, One PCI Express x8 and x4 slots, PXE option ROM solution, National Semiconductor Super I/O PC87360 chip, and Baseboard Management Controller (BMC) system management solution.